How Many Parrots is TOO Many? If this were an actual term, wikipedia would define it as: A deep psychological yearning to get just one more, and just one more after that. This condition is generally brought on by overexposure to cute pictures and stories about your friends multiple birds. The only known cure is the threat of divorce by your spouse or intervention by the Dept of Health. MBS is a term used by many on the bird talk boards. I suffer terribly from it. Whenever anyone posts a picture of their parrot doing something adorable, or heaven help me – a prickly little baby, my MBS flares up. I am always on the verge of just one more. I expect my first one more will be a macaw. I am looking for a parrot large enough that my overbearing umbrella cockatoo will have to respect, although there are no guarantees there. My second one more will probably be an amazon, perhaps a yellow naped. Then there’s my African grey, out there somewhere, looking for a mommy. Seriously. It’s an illness. Fortunately, I know when to say no. There have been a couple of times when life has stepped in and said no for me, and I had no choice but to support the decision. 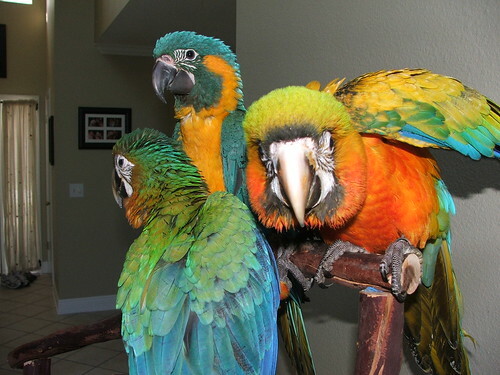 About eight months ago, I had every intention of bringing a military macaw into my flock. About ten days before making the 18 hour drive to pick him up, I lost my job. Certainly, it was not the right time to be adding to my expenses, and I had to back out. Since that time I have had several opportunities to get a macaw, but each time something didn’t feel right, and I decided against it. I have no idea why the little voice inside me has been telling me “no”, but I am old enough to know I should listen to it. Still, this all-knowing little voice does nothing to rid me of my MBS, and I continue to ache for another parrot. For several years now, I have been accessing the avian community for advice and support. Information and mistakes made are freely shared. A recent topic of conversation was about hoarders. We have all joked about the crazy cat lady – the soft hearted, but completely out-of-her-mind lady with 30 cats in a two room house. Every neighborhood seems to have one. There are people who hoard birds as well. They may start out with all the good intentions in the world, but are unable to turn away any parrot. 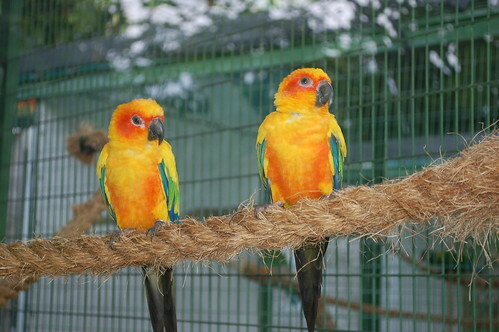 Often these people start out as a “rescue”, but they aren’t able to, or won’t, re-home the birds. Usually, they are of the mind that no one can care for them and love them as they do, and won’t part with a single one. 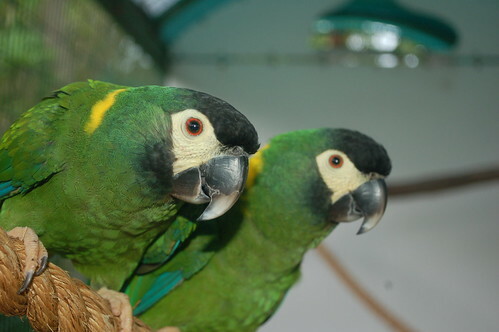 Of course, over the years as they add more and more parrots, their ability to care for them is overwhelmed by the sheer number of them, and vet care is financially inconceivable. Disease spreads, and soon there is a house full of sick and dying parrots. It’s scary when you look back to how innocently it all began. I love parrots and want to be able to help them all, but I love MY parrots most of all and want to be able to provide for their every need. The more I take in, the more time and energy I will have to find to spread among them, and I don’t want to spread myself too thin. So for right now, I think I will stick to five and appreciate how wonderful my life is with them. **I reserve the right to change my mind at any time without prior notice. How do you gauge what the right number of parrots in a household is? What would be your scale of time, attention, and care required per parrot? Is it even possible to be a responsible parrot owner with more than one parrot per person? Or per household for that matter? Since you do have a bunch of birds, perhaps you’d like to write a blog about what criteria people need to meet to be able to have another bird without causing a detrimental affect on their existing birds. What would you describe as the factors in their household they should gauge to realize how many birds is too many? How much space per bird is required in a household? What makes you feel you cannot get another bird? Not enough time, space, patience? 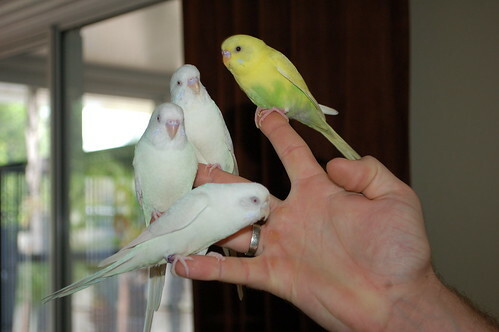 Also, another topic I’d be curious about is how to socialize birds to other birds. My Senegal Parrot hates our budgie. Since you have so many birds, perhaps you can share how to get the birds to be friendly with one another or at least not fight.